Boys seem to gain from intense sessions of Fornite Battle Royale and other games, but girls many not get the same benefits, UBC-led research shows. 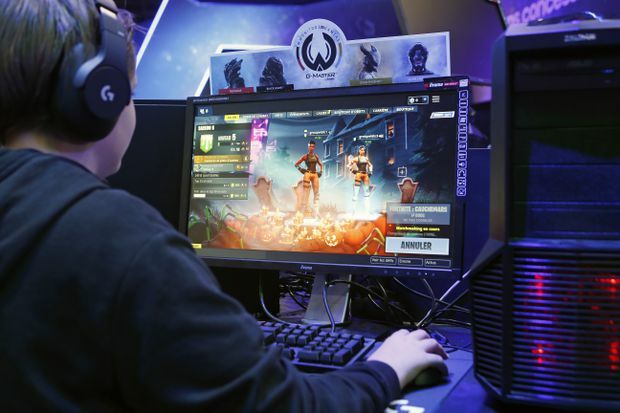 There’s good news for video gamers trying to convince mom and dad that their devotion to Fortnite or World of Warcraft isn’t a waste of time and energy. A new study from University of British Columbia economist Nicole Fortin suggests that playing video games can lead to higher math test scores. That outcome, in turn, has long-term job implications. Math test scores are a strong predictor of future careers in finance, computer science or STEM (science, technology, engineering and math) – all of which are expected to dominate the job market in the next 10 years. There’s a catch, though: It’s only teenaged boys who benefit from intense daily gaming interactions, which enhance the player’s co-ordination, visual-spacial and problem-solving skills – all potential pathways to leading to higher math scores, according to the study. “Computer gaming may also help those students with attention-deficit issues, which are more acute among boys,” Dr. Fortin says in an e-mail. Teen girls, meanwhile, appear to suffer from elements in the gaming world that act to deter their full participation, including sexist or sexualized female character depictions, and harassment from other online players. The gender gap became apparent in the analysis of math test scores from more than 56 Organization for Economic Co-operation and Development countries. Researchers found teenaged girls scored two to three percentage points lower than boys on standard math tests. Up to a third of the test results can be attributed to computer gaming, the study suggests. Looking ahead, a deficit in math will continue to keep women out of the employment fields that will pay them the most, says Dr. Fortin, a professor in UBC’s Vancouver School of Economics who initiated the study as a means to examine why women continue, on average, to be paid less than men. According to the study, boys engage in daily multiplayer online games at three times the rate of girls. Almost half (47 per cent) of boys played any computer game every day, versus 16 per cent of girls. Thirty-six per cent of boys, versus 7 per cent of girls, played collaborative games daily. Despite the study results, Dr. Fortin says she isn’t suggesting parents encourage their girls to spend more time gaming. Gaming culture prioritizes male heroic characters rather than females, and when game characters do appear, they are often sexualized, she says. Many girls who play computer games also face harassment in the games community. At times, it’s vicious. “Closing gender differences in intense gaming by enticing girls to play more may be advisable only if parents pay attention to the gaming content and the gaming community, which is not always female-friendly,” she says. The research is published in Research in Labor Economics and co-authored by Yann Algan from Paris-based Sciences Po.